Hey guys! We’re dropping in for a random Sunday post (doesn’t happen often!) but we HAD TO share this huge deal with you! Savannah and I recently got the new Dyson V6 Animal vacuums and we are obsessed with them. We chatted about how we use our Dysons to get ready for house guests quickly and declared our love for them a few months ago. By far our favorite function of these amazing machines is that they are CORDLESS! They are cordless and still ridiculously powerful! If you know me at all, you know I’m a bit of a clean freak and this vacuum has literally saved my sanity on many occasions. I use it to clean my outdoor patio rug, our cars and most recently Savannah’s travel trailer. Its camping season in Arizona and this little guy was and is a life saver!! It gets into all of the tough to reach places that most upright vacuums cannot. 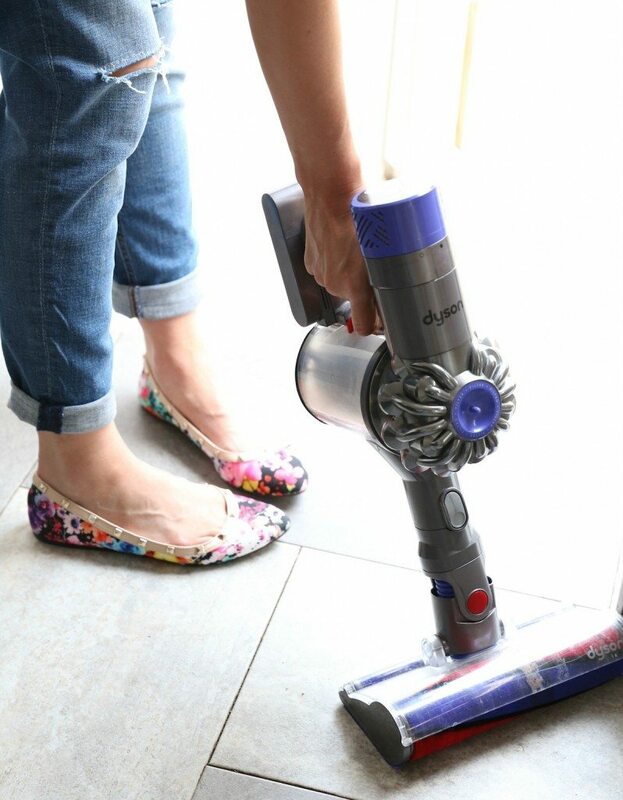 The fact that it’s cordless makes cleaning random spaces (cars, RVs, boats, carseats (!!! ), storage spaces, basements, attics, etc.) SO much easier. I also LOVE that it has a charging dock (that I installed in my cleaning closet) and you grab it when you need it and it vacuums for up to 20 minutes on the battery life. Amazing! Now why am I telling you all this? Because you need one TODAY!!! 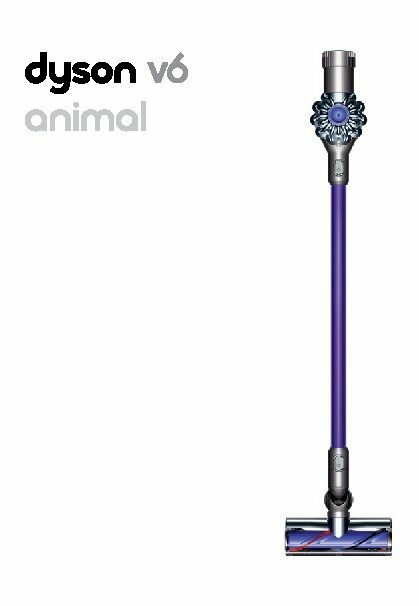 TODAY the Dyson V6 Animal is QVC’s Special Value!!! They’re offering it at a ridiculous deal of $389.99 (normally $499.99). You can grab one on QVC from now until 11:59 PM PT on QVC, QVC.com, the QVC apps or by calling 800.345.1515. They’re also going to have a special guest, Manny The Frenchie, on set! SO CUTE!!!! Be sure to check it out and let us know if you get one. Your life will change forever!!! I could have used one of those when we lived in 24 ft. travel trailer for 10 months, one time, other times sometimes longer and shorter. Trying to keep 24 ft. of trailer clean isn’t all that easy with dog and cat occupants also. Trailer you’re cleaning looks bit newer but similar layout as ours was. Sure miss living in that trailer. Am part gypsy so loved going in it. Used to go with hubs in semi for weeks at a time also when we lived in MT,, really miss that. Enjoy your animal vacuum, sure it’s very helpful to keep trailer clean as well as house. I used to used stick vacuum on floor in trailer and dust buster for rest of it. This is such a wonderful innovation.